Tlanding Wahlang is a father of 4 and a farmer from Shngimawlein, a village in the interior of Mawkyrwat District in the South West Khasi Hills. For his age he is fast. 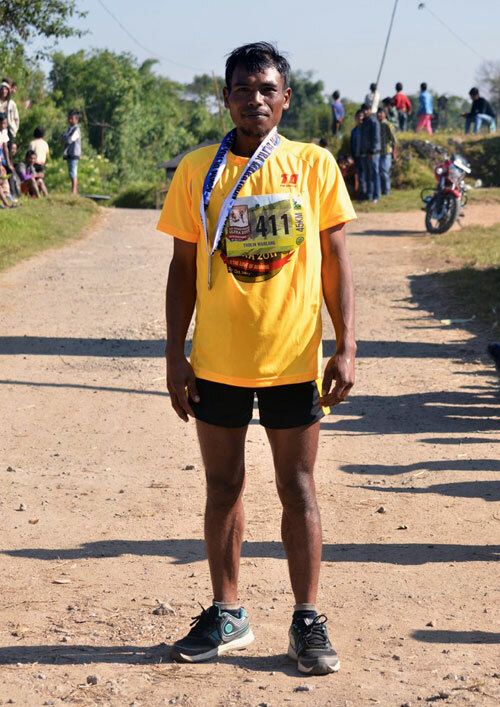 He ran the 42km Sohra Cherrapunjee Marathon in 2hr 40 min and came 4th overall. 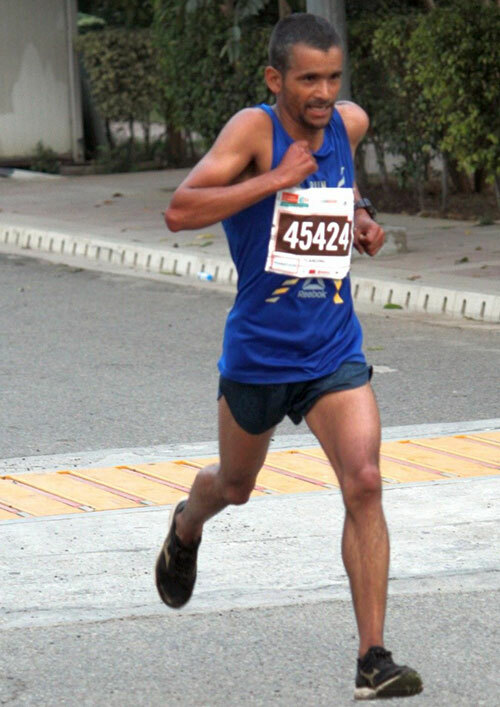 He ran Airtel Delhi Half Marathon in 1hr 13min. Running gives him hope. He is ready to run his heart out for life has not been easy for him. It is hard because farming cannot always provide enough for his family of 6. Born with raw talent and such hunger for running though Tlanding’s career in running started later in life, he still has a bright future ahead. Tlanding ran the first edition of the Mawkrwat Ultra 72k in 5hrs 42mins 45secs securing the first position. Swonding is from the village of Shngimawlein and started running in this fifties. He is a father of 14 and also a grandfather. 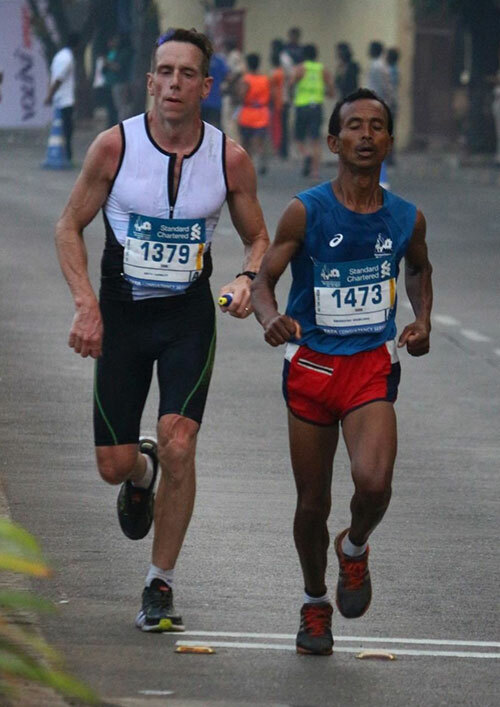 His best timing in the marathon is 2:57 at the IDBI New Delhi Marathon in 2017. 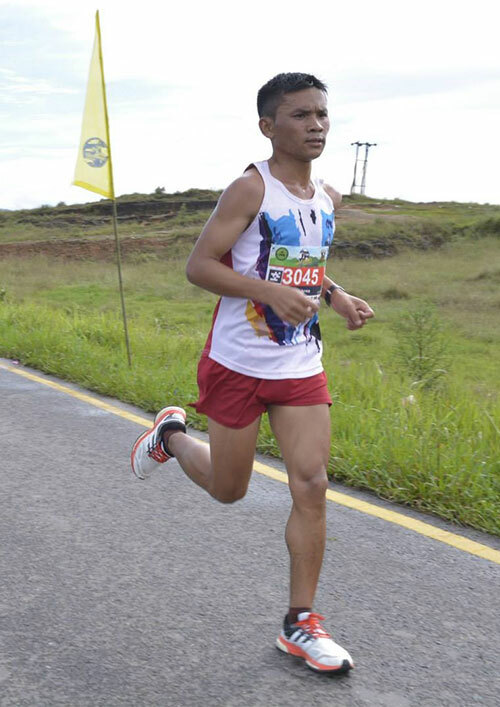 Swonding actively promotes running in his village and helps to spread the message about running being good for health. Dateibankynmaw belongs to a family of runners. 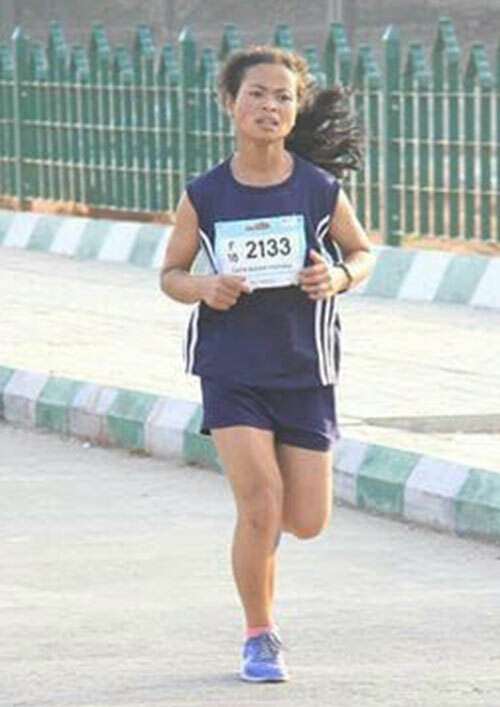 She is one of three sisters from Mawlongwir in Mawkyrwat – all of whom run long-distance. She is a college student, but also helps in the house and in their farm. Stilin is from the village of Jakrem in Mawkyrwat. He has been running long distance for many years. He is married and has one child and has to balance out raising a family and running. He works as a daily-wage mason and also farming and raising cattle in Mawkyrwat. Trolin is from the small village of Shngimawlein in Mawkyrwat, Meghalaya. He lives there with his wife and children and his primary occupation is farming and raising cattle. He has been running in local races for the last few years and gets podium finishes in his age category. Synsharlang is from Sakwang in Mawkyrwat and is one of eight siblings. 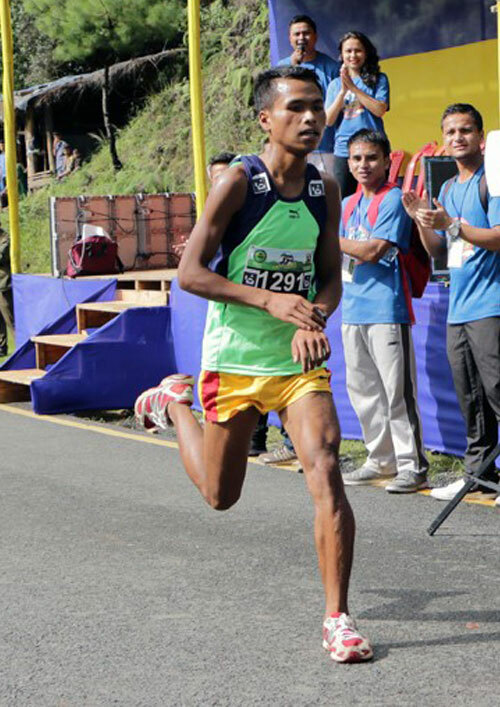 He excels in running the distance of 10K and his best timing was at Hyderabad Marathon 2017 where he came first with a timing of 33:11. He has immense talent and hopes to represent his country in the future.